Sanya Duty Free Store received a total of 260,000 visitors during the 16-day long holiday period which started on Jan 23 to Feb 7, 2012, with 145 million yuan pocketed in sales volume. According to the Sanya Duty Free Store, the daily number of tourists visiting the store reached 16,000 and sales recorded were 9 million yuan. 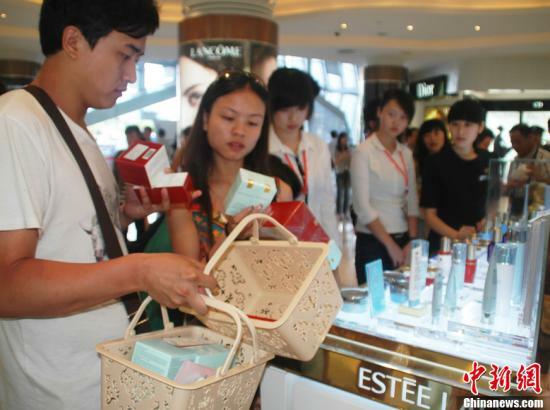 Duty-free shopping in Sanya has become one of the spots for travel arrangements in their holidays and 63% tourists surveyed said they have been there and more than half said they purchased items. Among a variety of imported items, chocolate products and big-brand watches always keep high popularity among the consumers.